The company is a wholly-owned subsidiary of Affin Holdings Berhad which is listed on Bursa Malaysia. Its headquarters building located in Jalan Raja Chulan, Kuala Lumpur and called Menara Affin. 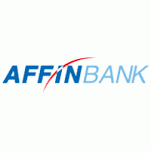 Affin Bank	Overall rating:	0	out of 5 based on 0	reviews.